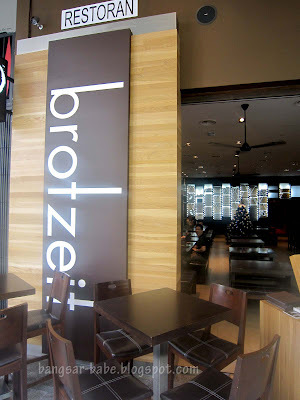 Since I won’t be heading to Germany anytime soon, I’m pleased that Brotzeit is located in Mid Valley. 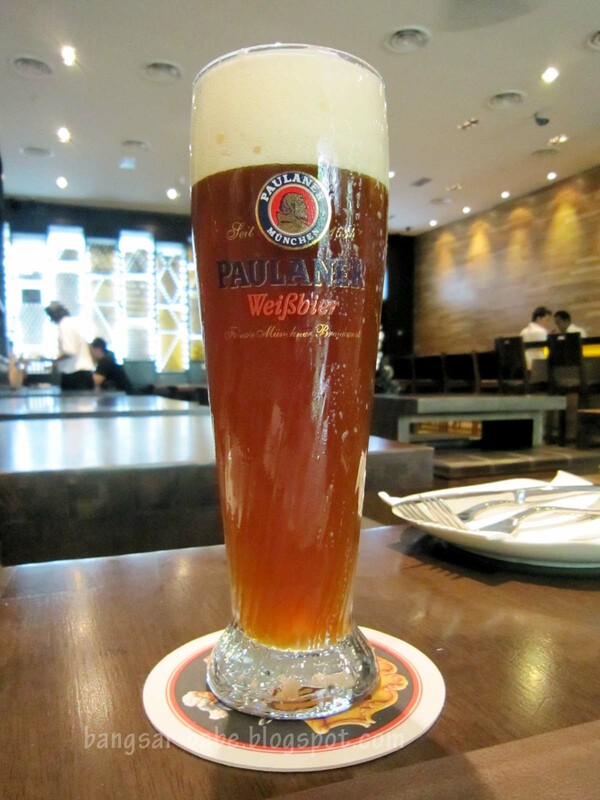 The decor comprised an extensive bar counter, a large mural of Bavarian life, wooden benches and leather seats. “Brotzeit” means “bread time” in German, and this is usually paired with a pint or two of fresh beer. Brotzeit serves Paulaner beer exclusively and has a dizzying array of beers I’ve never heard of. 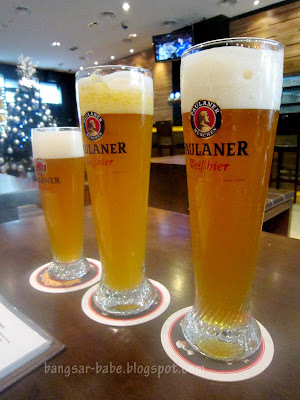 I had the Affensaft, a Weissbier with banana or mango juice. Between the mango and banana flavour, I liked the former. The banana Affensaft tasted too fruity. Leonard asked me to come hungry. From the amount of food he served, I wished I had four stomachs. Four guys (rif, Deep, Leonard and friend) helped me eat, but even they couldn’t finish the food. 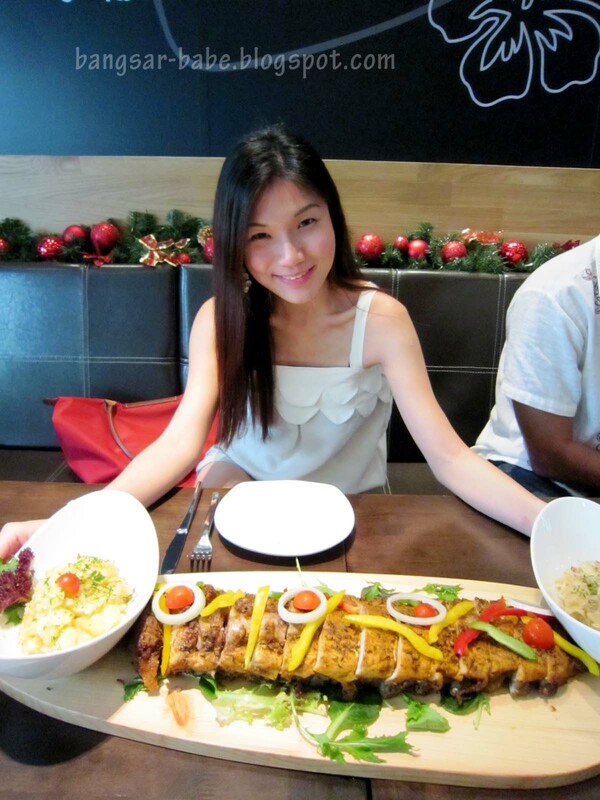 I had the pork knuckle (RM90) during my previous visit, so Leonard decided to serve us pork ribs (RM89) instead. The pork knuckle was extremely crispy on the outside and the flesh was moist and flavourful. The melt-in-the-mouth fat was so good it left me speechless for a few seconds. 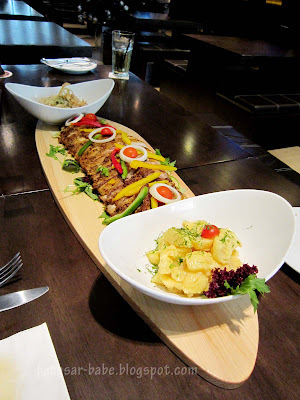 Portion was large enough to feed four adults and maybe two greedy Bangsar-Babes. When Leonard asked if I could finish a serving of pork ribs at Brotzeit, I laughed and told him about my mini “accomplishment” slightly more than a year ago. 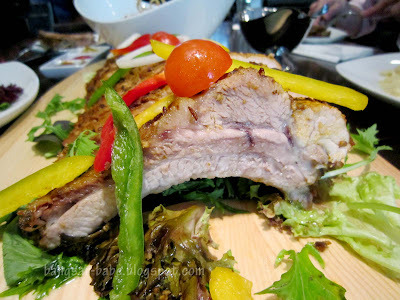 Our jaws nearly dropped when the waiter brought out the pork ribs and placed it on the table. That was probably half a pig in front of me! 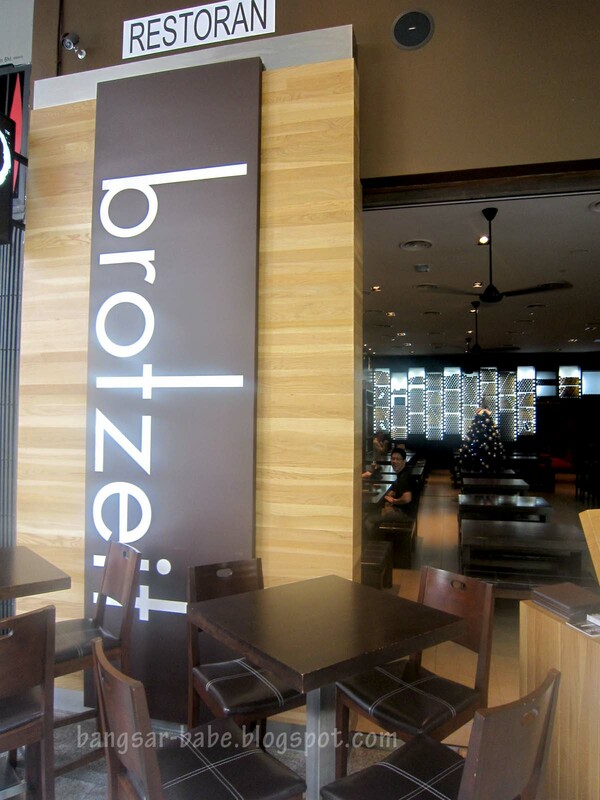 If you’re ordering pork ribs at Brotzeit, expect to get 1.3kg worth of ribs – enough to feed 5 people. The ribs were good stuff. They were moist and slightly fatty, with nicely grilled edges. 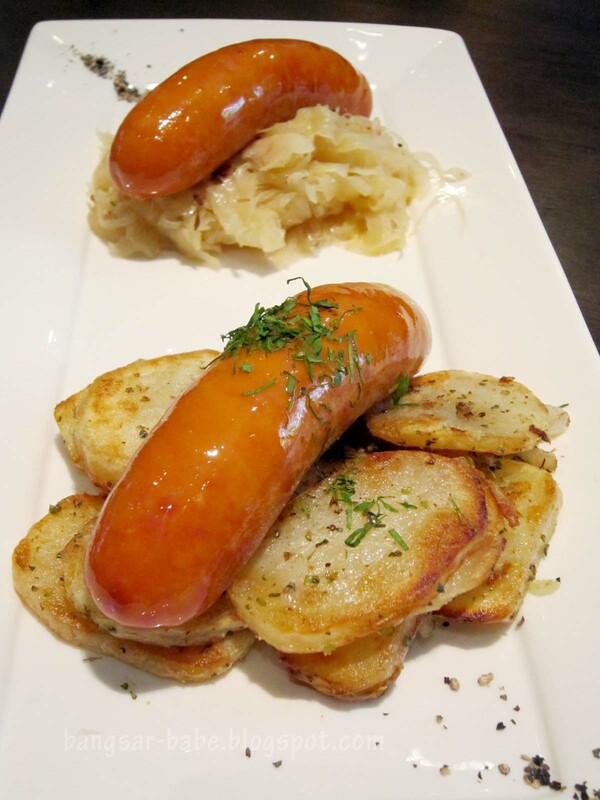 I liked the sauerkraut; it was subtly tart with a light peppery kick. 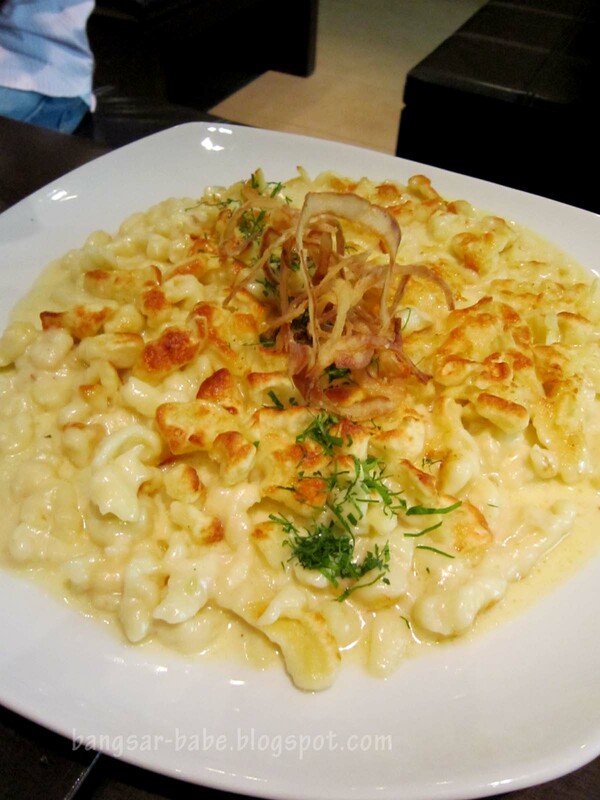 Käsespätzle (RM34) is a Bavarian specialty of homemade egg dough bits with assorted melted cheese. Every bite was gooey and comforting; it tasted like a very rich Mac & Cheese. 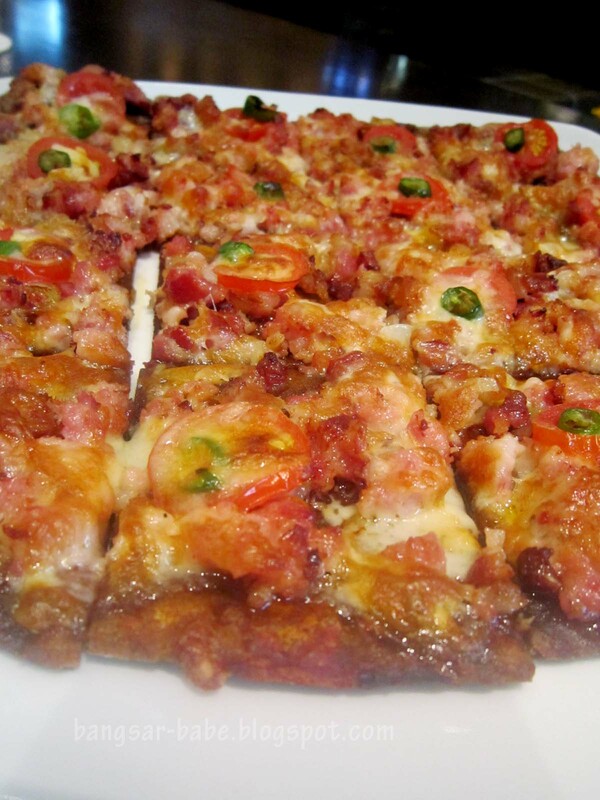 It’s best to share this with 2-3 people, as the portion is big and flavours are rich. I remember smuggling 6 packs of Weisswurst sausages back to Malaysia. Good thing I made it past the custom officers — I ate my sausages the minute I got home. 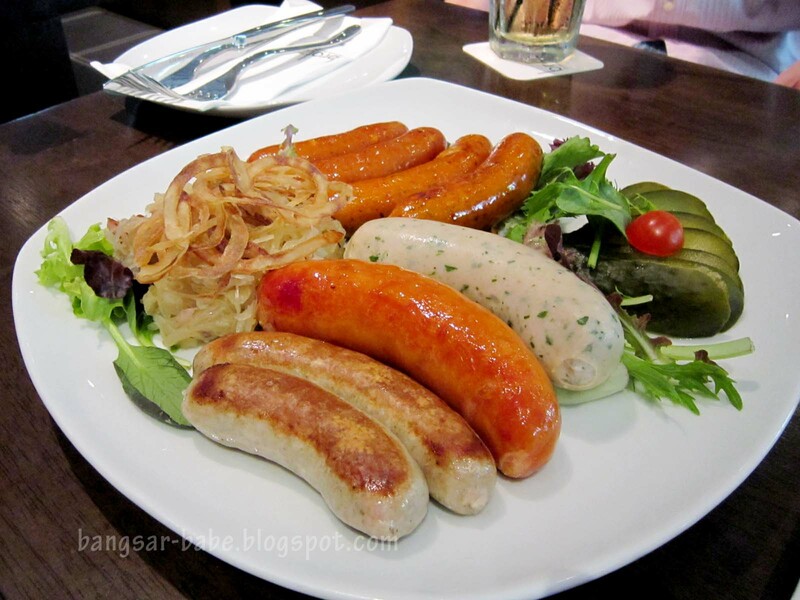 The Würstelplatte(RM78) comprised spicy chicken sausages, pork bratwurst, mini pork cheese sausages, weisswurst sausage and garlic sausage with a serving of sauerkraut. 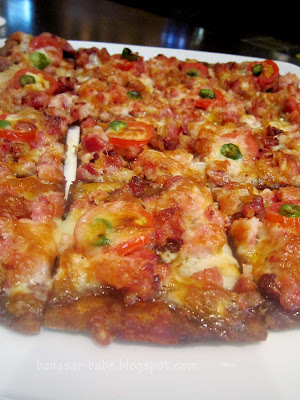 I liked the garlic pork sausage best. For desserts, we shared the Eiskaffee (RM12) and Apfelstrudel (RM22). 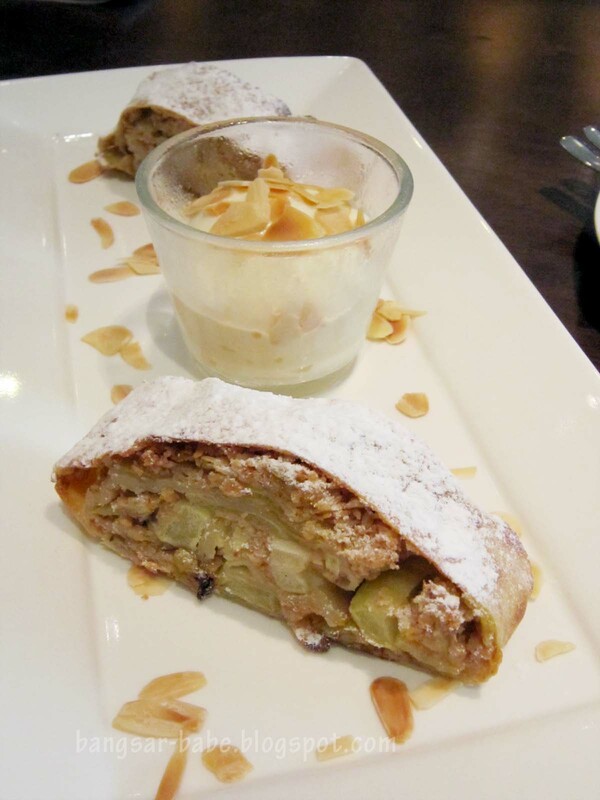 I was hesitant when Leonard ordered the apple strudel because I never got over the awful version I had in Vienna no thanks to Lonely Planet’s recommendation. The Apfelstrudel at Brotzeit was flaky and puffy with soft apple chunks at the centre. 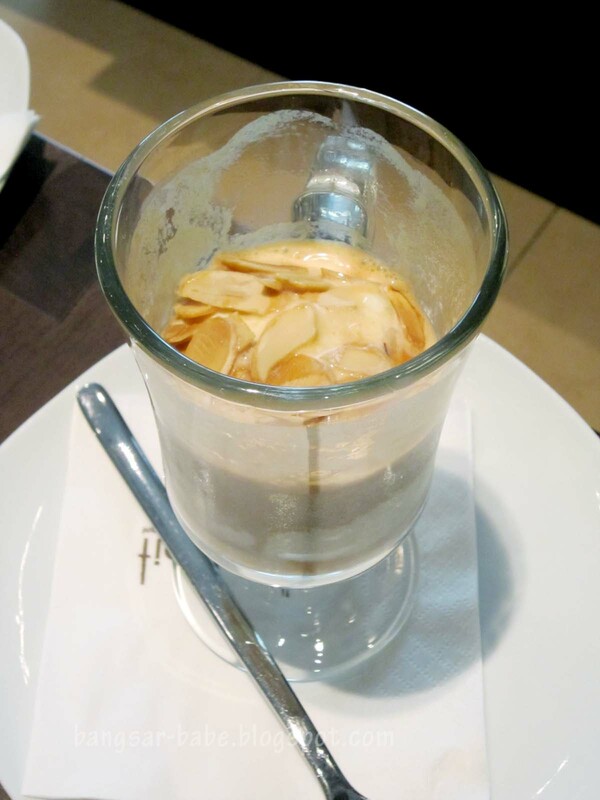 Eiskaffee was rather ordinary for me. It was simply espresso with ice cream and whipped cream on top. Overall, I thought the food was pretty good. 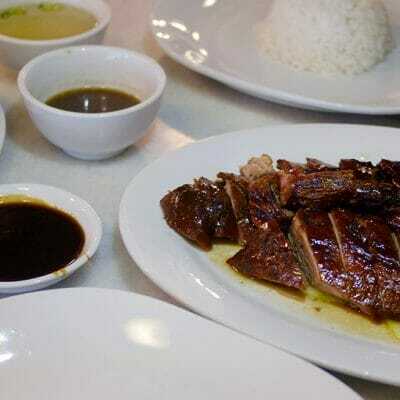 Prices are slightly on the high side, but you get good quality food and generous portions. Win-win, right? Thank you Leonard, for inviting us! Verdict: The food is good and portions are large enough to feed huge Bavarian men. The ambience is exactly like the one in Singapore and the food quality is exactly the same as well. In Singapore, the place is so popular that you had to queue to get in. 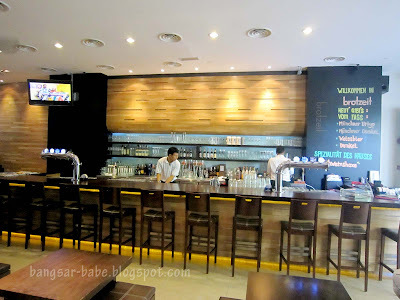 If you are ever in Singapore, check it out at ViVo City Harbourfront! 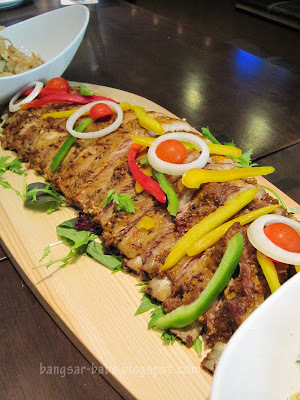 wow that's one epic pork ribs! KY – Ya…I don't think I've seen such a huge serving. Not even in Germany! AugustDiners – Hahaha…please do! I'm tempted to eat the whole platter, but I think I'd be porki-fied after 6 huge ribs. wow… all those food and all the meat! they all looked so huge! Thankfully you're not devouring the whole ribs to yourself! Madness portion. No wonder the premium price tag. J2Kfm – Yup yup, have you been there? 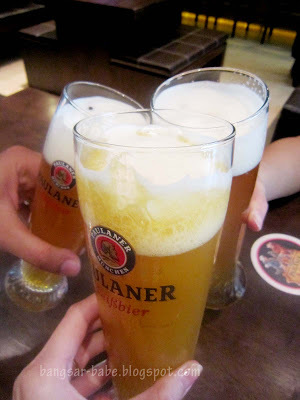 eiling – They were mega huge. If I ate anymore, I would burst! 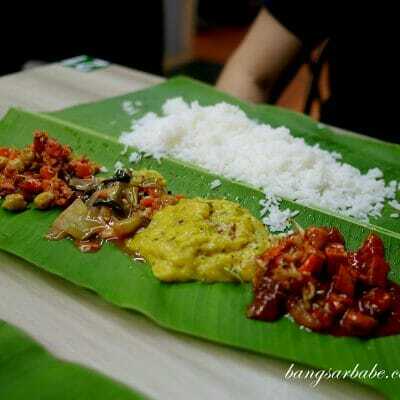 wow.. its extremely damage my stomach now..